The connection might be difficult for today’s generation to make, but modern printer technology has its roots going as far back as the 1400s. In those times, printing was quite a manual effort, requiring bulky machines that definitely would not fit on your average office desk. These primitive machines, known as printing presses, revolutionized the speed at which books were printed. Most books were copied by hand prior to the invention of printing presses. These heavy, wooden devices accepted type arranged into pages placed within a frame that is placed upon a flat stone known as a “bed.” The type would be “loaded” with ink while the paper would be held between two frames. The bed would be rolled under a platen used to provide pressure to make an ink impression. It is interesting to note how some of the terms used for printing press components are still used today. One Renaissance-era printing press could generate 3,600 pages per day, which was phenomenal when compared to the few pages that could be done per day when copying by hand. By today’s standards the process used to make “printouts” with a classic printing press was incredibly slow. In its time, however, the printing press was a remarkable breakthrough in printing technology, improving communications and rendering scribes obsolete. It has been said that the so-called “Printer Revolution” began the “democratization of knowledge” and formed the foundation for our modern knowledge-based economy by making the printed word both available and affordable to the general public. The invention of the classic printing press was so remarkable that it would remain in use without significant change in design until the early 1800s. Around this time the world began to see several major changes in printing press technology, including the replacement of the printing flatbed with the rotary motion of cylinders and the release of the first steam-powered, automatic printing press. 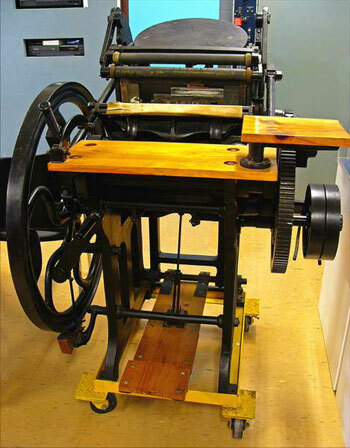 By 1843, a steam-powered rotary printing press could printing millions of copies of a page in just one day, making newspapers available to the masses and helping to spread literacy amongst the general population. Jobbing presses were invented that could print small-format pieces such as letterheads and business cards. By the early 1940s, printing presses could generate up to 3,000 impressions per hour. Today’s printing presses have come a long way since then. Fully-automatic, digital presses can print and fold entire newspapers now using multiple fonts and multiple colors. Capable of printing 230 A4 pages per minute, the Xeikon 8000 currently holds the record as the fastest digital color press in the world. While such a speed record may be prove valuable to the printing industry, it hardly makes a difference to the average consumer, someone who isn’t in the market for a multi-million dollar printing system. Fortunately for consumers, printing technology became rapidly available to the masses in the middle of the 20th century. Xerox developed the first automatic photocopier in 1959, going fully digital just a couple decades later. Dot-matrix printers became commonplace in households in the mid-1980s, allowing the average consumer to print a variety of items without the need of a professional printing press. Despite being cheap and versatile, dot-matrix printers proved to be too slow and cumbersome for the average user. 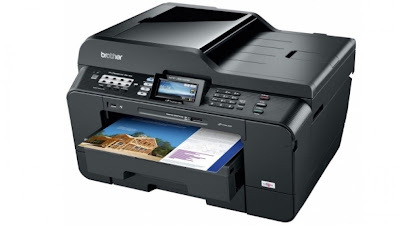 Inkjet and laser printers practically replaced them overnight as soon as they became affordable enough for home-based use. With the inclusion of faxing and scanning capabilities, the average consumer-grade printer is capable of serving many needs that once could only be done by a professional printer or photo shop. Jeff Gonzales is a tech writer, software engineer and overall 15-year veteran in the IT industry. He writes for businesses covering IT products and categories, e.g: printers from Harvey Horman. When he is not busy writing code or writing copy, he can be found travelling the world, working out in the gym or mixing underground house music.